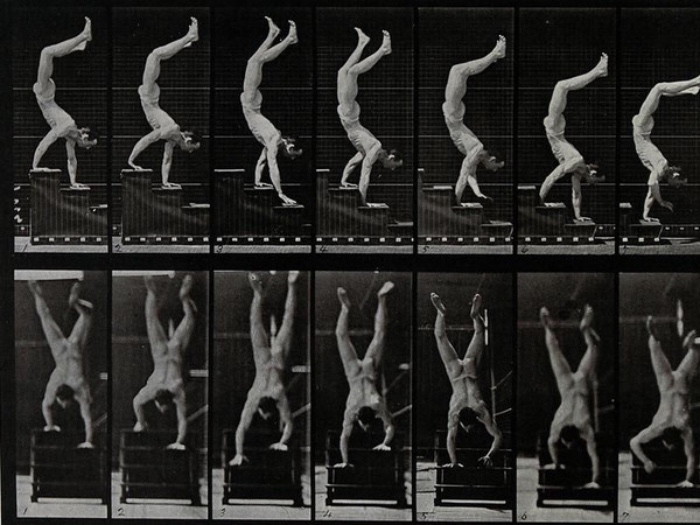 Eadweard Muybridge. Italy will host an exhibition dedicated to the photographer who captured and reproduced movement, anticipating the birth of cinema. The exhibition organized by the Gruppo Credito Valtellina Gallery will be on view from May 19th to October 1st 2016 and admission will be free. 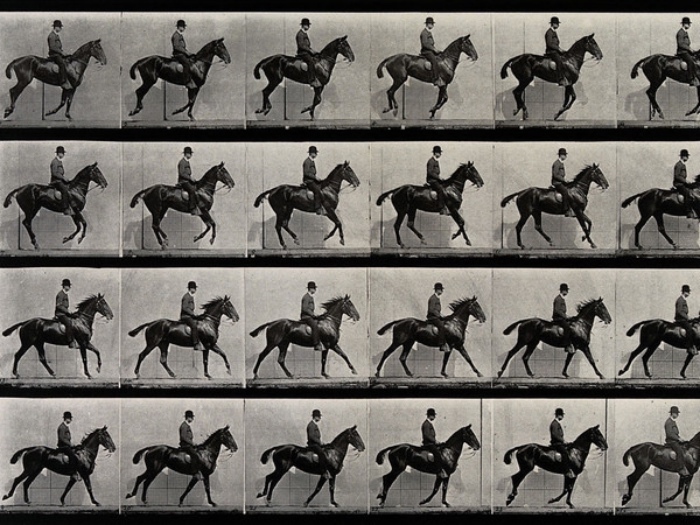 The exhibition will display the artistic production of one of the pioneers of cinema, and will feature a contemporary reconstruction of the set Eadweard Muybridge used to take shots in sequence. Don’t you know Eadweard Muybridge and don’t you know why he was so important? I’ll explain in this post. According to Wikipedia, “cinema is one of the performing arts, based on the optical illusion of an image while moving”. Cinema was born at the end of the 19th century, and the Lumière brothers are considered to be the inventors of the seventh art. Actually, cinema is the result of several little and big inventions, that all around the world achieved a single result: to capture and reproduce movement. SEE ALSO: photos of the most important women of Italian cinema. 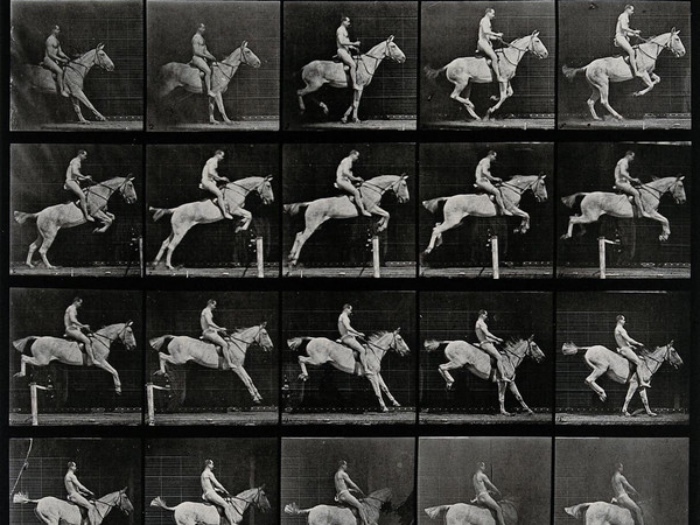 By using photography as an instrument of observation, Eadweard Muybridge upset the idea artists had about representation, and he become a precursor of the History of cinema. But, as all the stories about progress, everything began by chance, and in this case with a challenge. Leland Stanford, a business magnate of the American railroad, asked Eadweard Muybridge to verify the hypothesis about the movement of a horse, that is to say, whether all four hooves of a galloping horse were off the ground simultaneously. By linking up 24 cameras with tripwires along a route, the photographer documented scientifically the movement dynamics, and observed that for a few instants, the whole body of a galloping horse was effectively off the ground. For the artists of his time, such as Degas, that was a revelation, and everybody understood the importance of the photography in observing natural phenomena. After horses, birds in flight and the movement of others animals, Eadweard Muybridge turned his attention to man: while running, climbing the stairs or lifting and carrying weights. 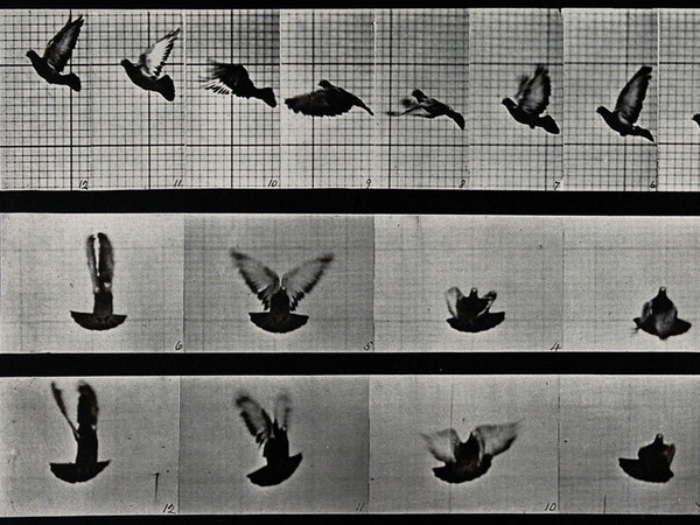 He was obsessed with the idea of capturing movement, which made him develop the Zoopraxiscope, an instrument which made it possible to read images at a high speed while were shown, and to see them in sequence. Cinema was born, or better the idea of narrating the world and its stories through moving images was born.